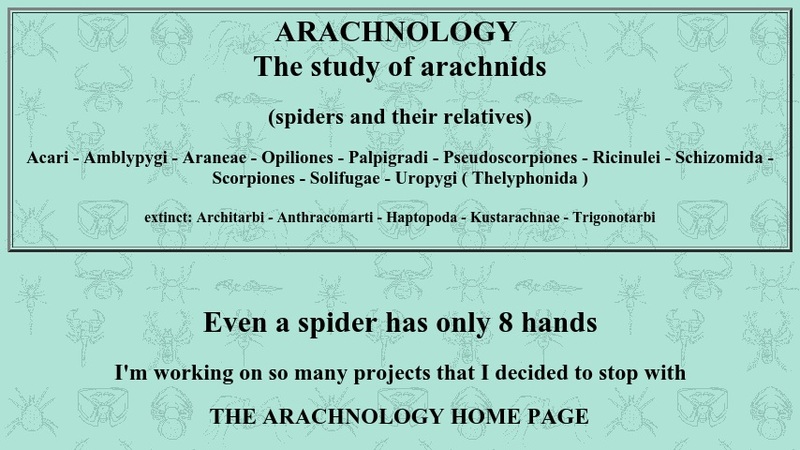 This clearinghouse page provides links to thousands of web sites from around the world devoted to arachnids (spiders and their relatives). The links are organized into categories: researchers and societies, subjects (kids' pages, poison, spider myths, and others), arachnids by order, and specialized pages (scientific papers, image-only sites, spider silk, and others). Non-English sites are grouped by language; there are many sites in Dutch, French, German, and Spanish.